Last week I posted a sneak preview of my latest creation. 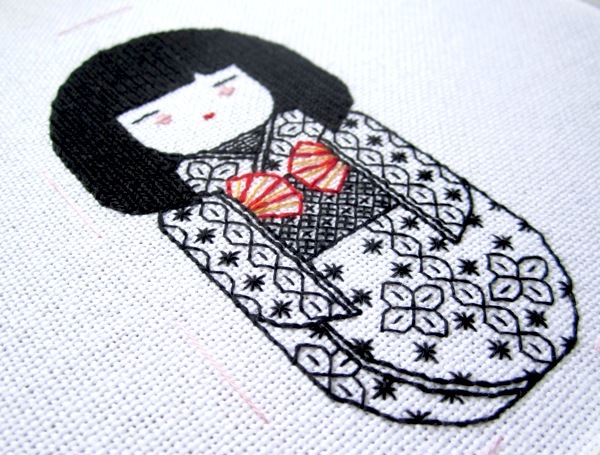 I’ve now finished the first in a series of 3 Kokeshi dolls. < The Beauty of Stitching is Open! Where can everyone buy this pattern? !